Shop Adam Audio Sub8 Powered 8.5in Studio Subwoofer from AMS with 0% Interest Payment Plans and Free Shipping. 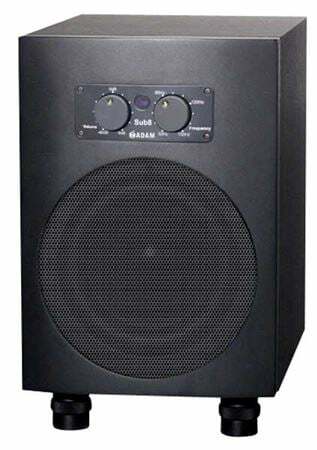 Housing an excellent 8 inch woofer with a large 50 mm voicecoil, the Adam Audio Sub8 Powered Studio Subwoofer is a small, yet powerful, subwoofer designed to extend the low frequency capabilities of a monitoring system. A 0°/180° phase switch and a switchable 85 Hz highpass filter allow you to find the best setting for an optimum in sound and performance. The low cut off frequency of 28 Hz (-3 dB point) enables this subwoofer to reproduce register of even this range in a highly authentic manner.